The type of workers’ compensation disability benefit a worker can recover is based on the severity of their injury and their ability to perform their job duties. Is the injury temporary or permanent? Is the worker totally or partially disabled? Determining these factors will establish the type of disability benefit an injured worker will receive when awarded workers’ compensation. An experienced Maryland workers’ compensation benefits attorney can guide you through this complicated process. Understanding the type of benefit you are entitled to is important because it determines the amount you can recover and how long you will receive benefits. If an employee is completely unable to work on a temporary basis, they are entitled to temporary total disability benefits to compensate for their lost wages. These benefits are meant to replace, at least partly, loss income when an injured worker cannot work at all for a temporary period. This period is commonly referred to as the “healing period”. A worker is considered totally disabled for work purposes if they are unable to return to work at all due to their injuries. This benefit ends when a physician decides an employee can return to work, even if only on a limited basis. 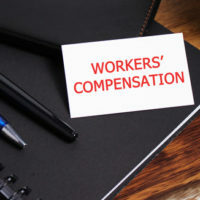 Also, if a doctor determines the worker has fully recovered from their injury this benefit will cease, even if the employee is not in the same condition they were in prior to the incident. Generally, when a worker is limited to work part-time or cannot perform all their duties temporary partial disability benefits can supplement their income. The employee will receive 50% of the difference between their weekly salary and their temporary reduced wages. Employees who have permanent impairments but are not completely disabled and unable to work are granted extra benefits for those impairments. These permanent injuries are considered permanent partial disabilities. These permanent injuries are not serious enough to leave a worker permanently, totally disabled but still result in some permanent impairment. The amount of benefits a worker may receive for a permanent partial disability is set by statute and is determined based on the severity of the disability and the date the injury occurred. Maryland has a state schedule that shows the period of weeks that benefits will be paid based on the injured body part and severity of the injury. A worker who suffers severe injury or illness that leads to permanent and total disability may be entitled to permanent total disability benefits. Permanent total disability benefits are only awarded if an individual in unable to do work of any kind. If you are filing for workers’ compensation for a job-related injury, the Law Offices of Steinhardt, Siskind and Lieberman, LLC are committed to helping you receive your benefits. Contact a Glen Burnie workers’ compensation benefits attorney for a free consultation. We are here to ease your burden and fight on your behalf. You have already suffered, let us take on your claim and make sure you get the benefits you deserve. There are no legal expenses or attorney fees unless we win your case. Our experienced and dedicated lawyers also work out of satellite offices in Owings Mills, Ellicott City, and Annapolis.